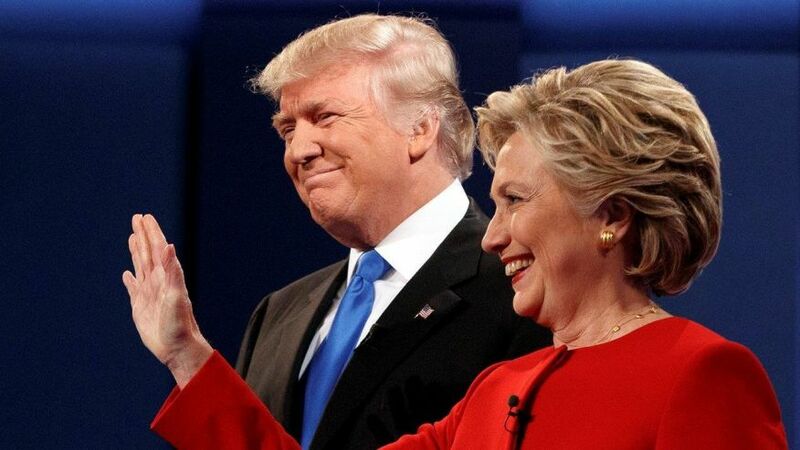 Donald Trump and Hillary Clinton at the first presidential debate at Hofstra University. Both candidates briefly criticized the other’s tax plan. Hillary Clinton claimed that Trump’s proposal would add trillions to the national debt. She proceeded to blame the 2008 economic crash on tax cuts as if we weren't spending an overbearing amount on the war. Then, Donald Trump rightfully pointed out that Hillary Clinton’s proposal would punish Americans’ success. By far, Trump's best moment of the debate took place after Hillary Clinton pushed for him to release his tax returns. “He must be hiding something,” she said as if she had not sent and received hundreds of classified messages on a private server, deleted 33,000 emails, and lied about it under oath. Trump explained that he would release his tax returns when the FBI finished auditing them, but then he stated, “I will release my tax returns against my lawyer’s wishes when she releases her 33,000 emails that have been deleted.” He cleverly shifted the focus back to her, but it was one of his very few positive stand-out moments. Hillary Clinton dominated the rest of the night, not because she did extremely well but because her opponent did terribly. This was demonstrated during their discussion about combating ISIS. Donald Trump said, “No wonder you've been fighting ISIS your whole adult life.” Now, there is logic and there is screwed up logic. His statement was none of the above. Perhaps what disappointed me most about the debate is that it went exactly as I had predicted. Hillary Clinton, who I absolutely despise, appeared as a calm and steady person. Donald Trump, on the other hand, appeared as an indecisive, whiny lunatic. He spent far too much time on topics he shouldn't have and not nearly enough time on topics he should have. I do not believe that this was the end of Trump's campaign; however, if he continues to perform as he did in the debate, he will not stand a chance in November.